Courtesy of Redfin Corporation, Kyle Crabb. Huge price drop! Located in a much desired, but rarely available, cul-de-sac of La Costa Valley, this 3,590 sq ft home offers four bedrooms, 3.5 baths, loft, 3 car garage and a first floor library or office with an alcove which could easily be made into a 5th bedroom with walk-in closet. The living room features a fireplace, a 20 foot ceiling and dramatic spiral stairs and a balcony. The adjacent formal dining room opens to the backyard. 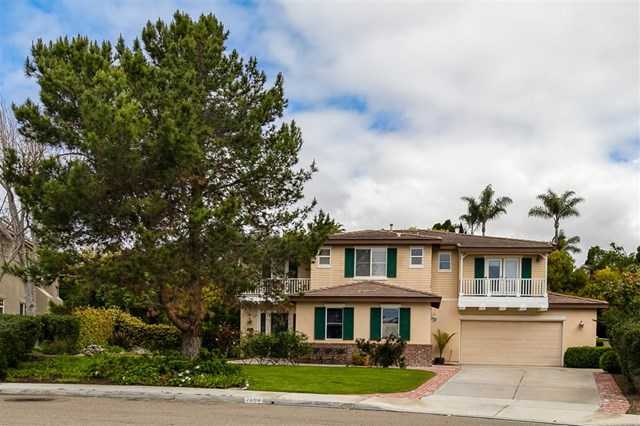 Please, send me more information on this property: MLS# 190018175 – $1,200,000 – 2898 Corte Morera, Carlsbad, CA 92009.